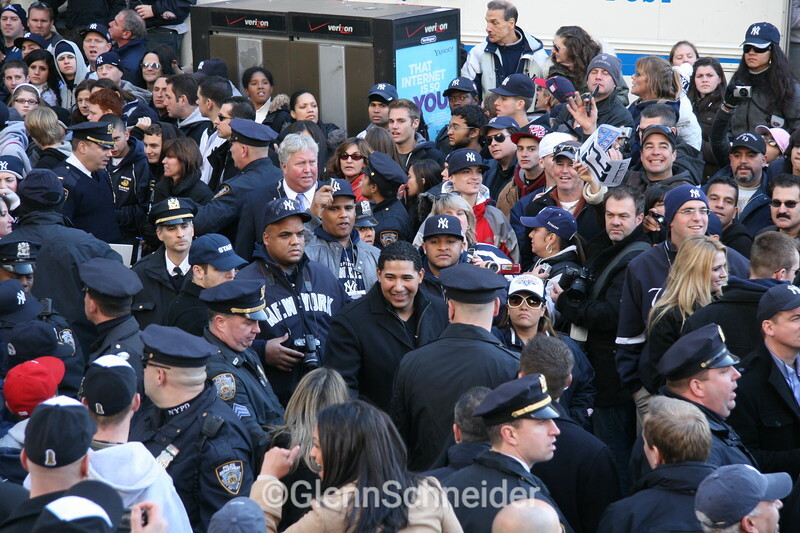 NY Yankees ticker tape parade Nov 6th, 2009 and ceremony at city hall. These photos are from the lucky and unique perspective of being "in" the parade on one of the employee bus floats. It was a great exciting day. Go Yankees!